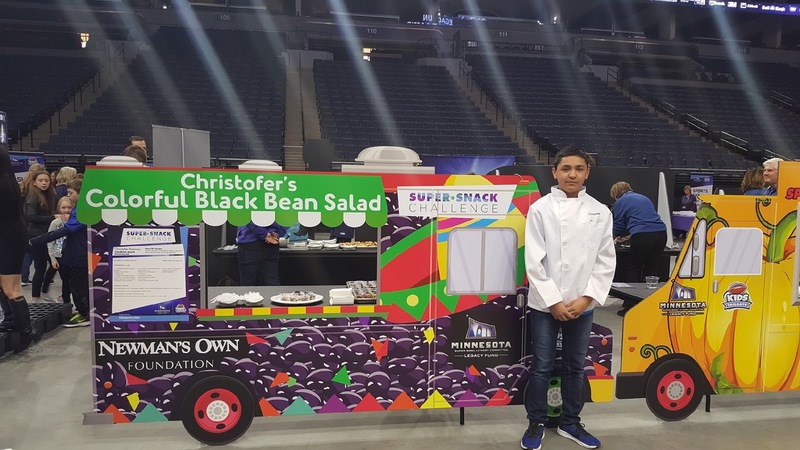 Cristofer was named one of 52 winners of the Super Bowl Snack Challenge sponsored by the Minnesota Super Bowl Host Committee in November, and then won a place in the top 10 based on his recipe for Colorful Black Bean Salad. That’s a recipe Letty teaches many children to make in her SNAP-Ed classes. While at the tailgate party, Cristofer had his photo taken with David Morgan, tight end with the Minnesota Vikings. 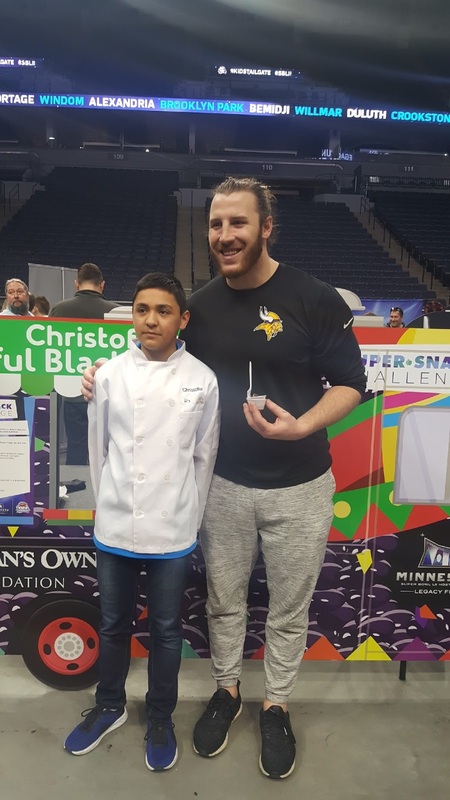 He also posed with a display of his winning recipe. Everyone at the Center for Family Development congratulates Cristofer for advancing so far in the Super Bowl Snack Challenge and doing his part to encourage healthy eating.